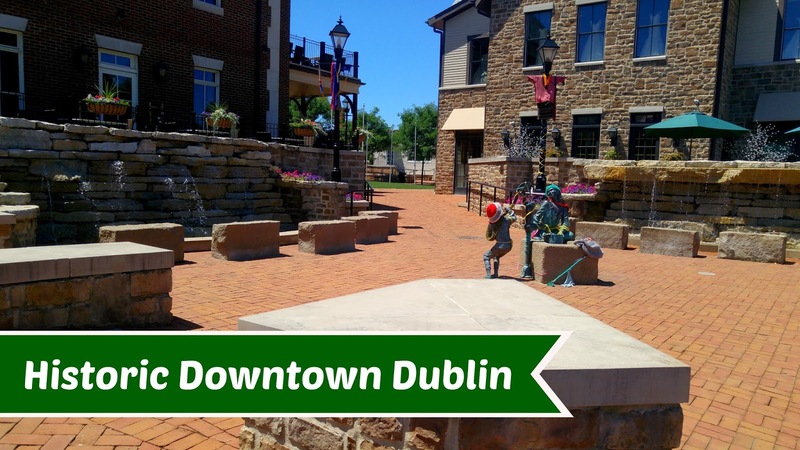 We recently hit Dublin, Ohio as a family to discover all it has to offer! A must is to visit Historic Downtown Dublin. Wander the brick-lined sidewalks. Take a self-guided walking tour and marvel at the charming examples of early 19th-century architecture. 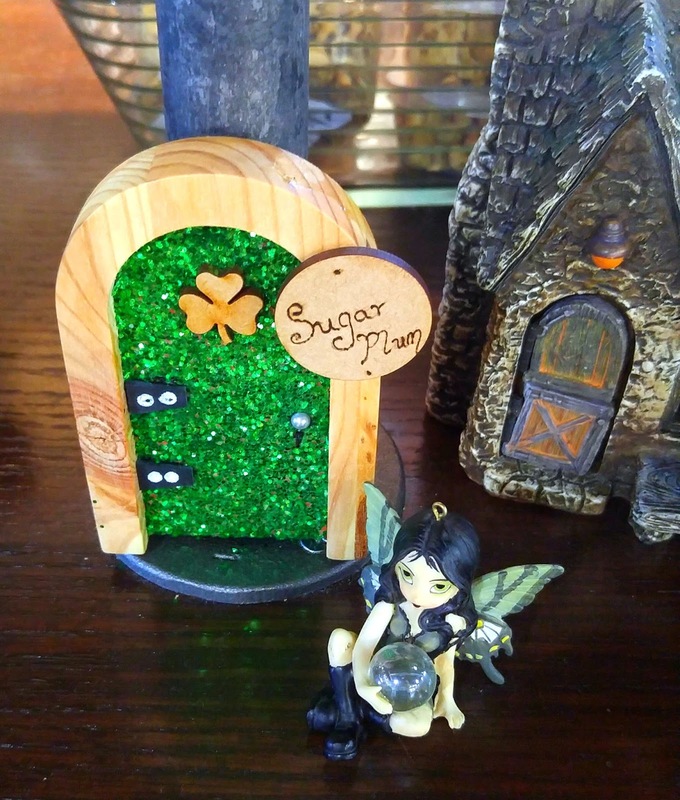 Become a Fairy Finder on the Irish Fairy Doors of Dublin Trail. Search Historic Dublin for magical Irish Fairy doors. Make sure you stop by the Dublin Visitor & Information Center and pick up your trail guide. If you find all seven doors they will mail you a free t-shirt! While you are on your hunt, you get to visit seven unique stores and shoppes along the way. We went into The Sisters Sweet Shoppe first and was welcomed with the scent of chocolate, fudge and other goodies. This bakery is full of homemade sweets, premium nuts and local ice cream in endless flavors. 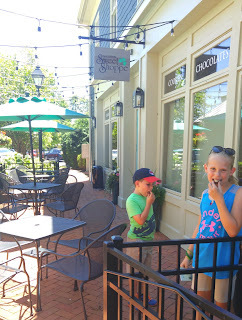 Of course the kids had to have a sweet treat while we were there too on their super cute patio! Another fun Irish Approved shop is Ha'penny Bridge Imports of Ireland. You'll feel like you stepped in Dublin, Ireland. 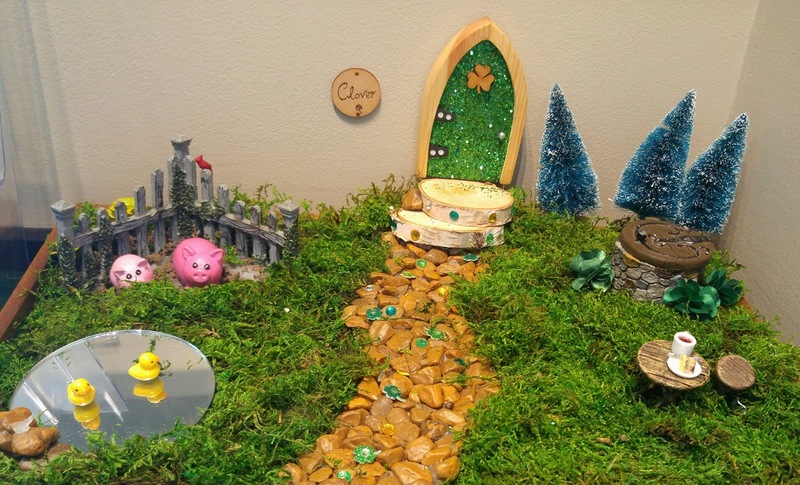 The Ha'penny house features different rooms that each have their own distinctive theme and you'll find many distinctive gift items. 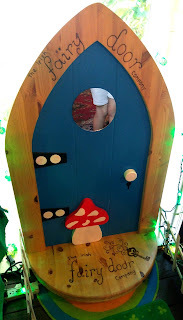 It is at this store you can buy your own Fairy Door Kit for home. We had to buy one too and will be installing our door here soon! A super cool shop that I could of spent hours looking around at all the unique finds was the Chelsea Borough Home. 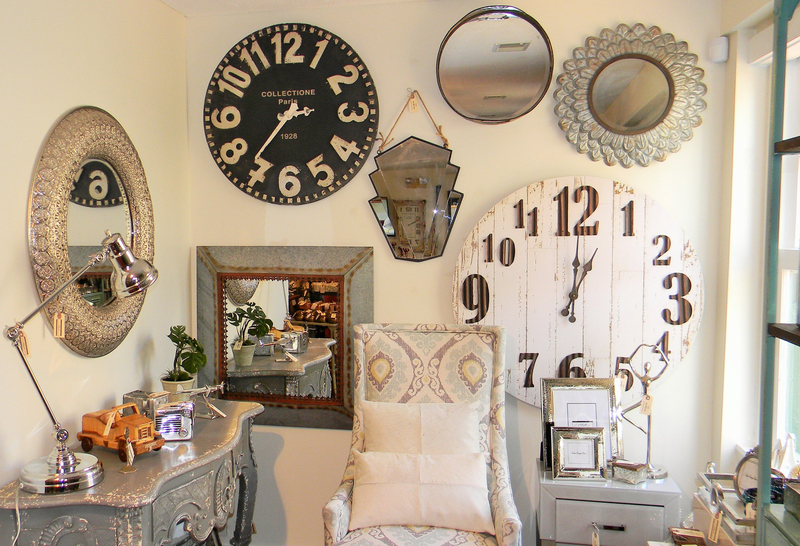 This home decor and gifts store features an eclectic mix of unique vintage items, modern trendy pieces, and work by local artists and artisans. Here you can find the perfect piece to make your home unique including wall art, mirror, lamp, table, accent chair, bookshelf, picture frame, candle, miscellaneous décor, seasonal décor, clocks, and more! Not only are their super cool shops to explore, but places to eat as well! You will get the full Irish experience in Dublin, Ohio. Here are a couple of food options: Dublin Village Tavern or Brazenhead: Both located in Historic Dublin, the Dublin Village Tavern and Brazenhead offer an Irish atmosphere and Irish-inspired menu items. (Both are kid-friendly with traditional menu items as well.) – 27 S. High St. or 56 N. High St. Dublin, Ohio. Admire the gorgeous public art placed around the City of Dublin by the Dublin Arts Council. Learn the history and purpose of the most popular pieces by taking a car tour and look for some cool roadside attractions and installations! One such site is the Field of Giant Corn Cobs. Once a corn field, now is home to 109 people-sized ears of concrete corn. The former corn field was where Sam Frantz, an inventor of hybrid corns used the field to study various strains of corn. The Field of Giant Corn Cobs is located at 4995 Rings Rd, Dublin, OH. 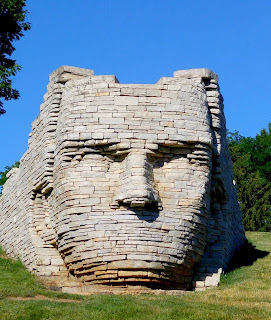 Chief Leatherlips Monument is a sculpture made out of native limestone slabs. Chief Leatherlips, according to the accompanying plaque, "was a good friend of Indian and white man alike. 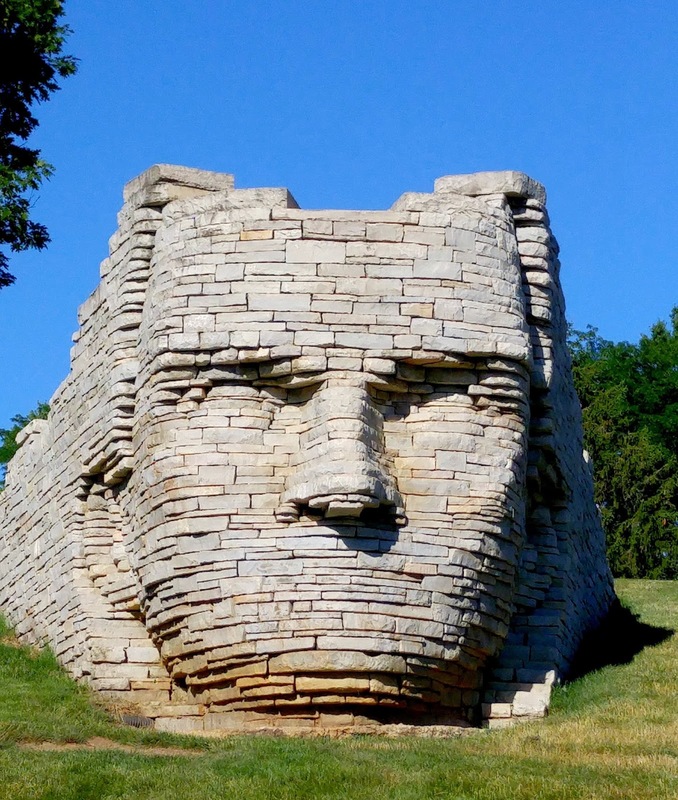 Local history relates that the Wyandot Native American, Chief Leatherlips, was executed by fellow tribesman at a location very near Scioto Park. Take a Dublin Family Getaway and save over 20% on tickets to top area attractions like the Columbus Zoo, Zoombezi Bay, COSI and more. Head over here for more info! 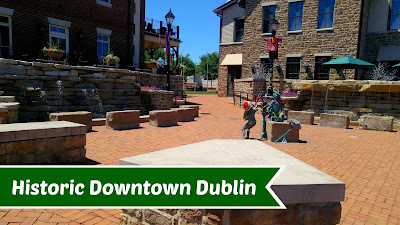 Make sure to check out my Take a trip to Dublin, Ohio! Part 1 #ColumbusZoo #ZoombeziBay post.